This article is a follow-up on the articles regarding lesser-known red wine grape cultivars that were published (Van Schalkwyk & Schmidt, 2016a & 2016b). According to Sawis statistics (2016), 106 wine grape cultivars are planted in South Africa. Chenin blanc, Colombar, Sauvignon blanc and Chardonnay are the most important white cultivars and make up 48% of all wine grape plantings. The South African wine industry is continuously investigating the potential of alternative white cultivars to determine whether they could make a significant contribution in broadening the South African wine spectrum. ARC Infruitec-Nietvoorbij, an institute of the Agricultural Research Council (ARC) in Stellenbosch, maintains a national grapevine gene pool featuring, inter alia, more than 500 wine grape cultivars. New promising cultivars are sporadically imported and added to this collection. The focus at ARC Infruitec-Nietvoorbij is to import cultivars with specific attributes, such as good resistance against drought, heat and diseases and that have the potential for making wine of good quality. These cultivars are also utilised in the wine grape breeding programme. The younger generation winemakers are showing an increasing interest in alternative cultivars for winemaking. Importing plant material is getting more difficult, because South Africa has strict phytosanitary requirements and overseas countries are not keen to share the advantage of their new cultivars with competitors. Climate change has also prompted increased interest in alternative cultivars, especially in warm areas. In order to make full use of the grapevine gene pool, production data of cultivars that may potentially contribute to the South African wine industry are collected annually. Experimental wines are made on a small scale at Nietvoorbij cellar and wines are evaluated for overall wine quality and aroma after six months. This evaluation takes place over five consecutive years. 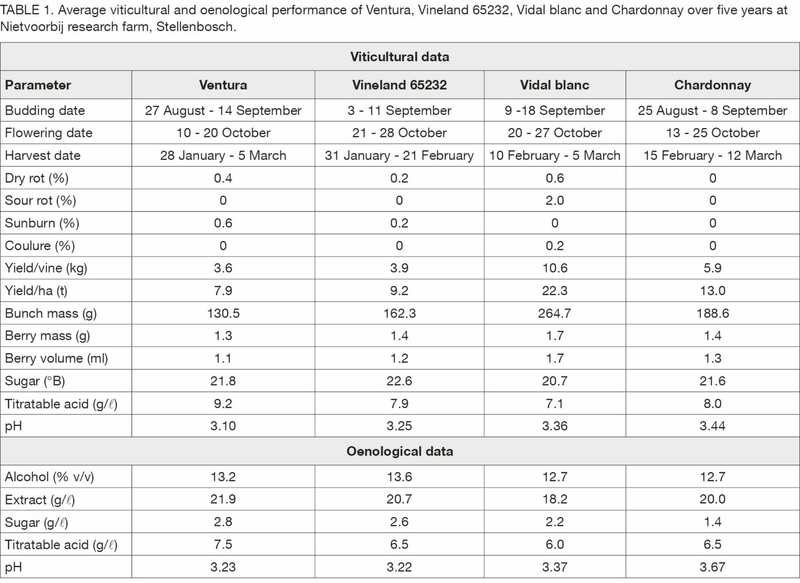 The cultivars Ventura, Vidal blanc and Vineland 65232 that are discussed in this article have moderately good disease resistance, as well as good winemaking attributes. Ventura is a cross between Chelois and Elvira, made in 1951 at the Horticultural Research Institute of Ontario in Canada. It was originally known as Vineland selection 51061. The vine is a vigorous grower and has good cold hardiness. Ventura is resistant to downy mildew (Plasmopara viticola) and powdery mildew (Erysiphe necator/Uncinula necator). Because of these characteristics, it is also used in ARC Infruitec-Nietvoorbij’s wine grape breeding programme. However, it is moderate susceptible to dead arm disease (Cryptosporella viticola). At ARC Infruitec-Nietvoorbij, Ventura ripens from the end of January to beginning of March. The bunches are medium-sized and well-filled to medium-compact. Yields were average and varied between 6.4 t/ha and 9.6 t/ha. Seasonal differences in temperature during ripening had a major effect on must composition, varying between a sugar concentration of 20.6°B with titratable acidity of 7.9 g/ℓ and pH 3.29, and a sugar concentration of 23.0°B with titratable acidity of 11.2 g/ℓ and pH 2.88. Experimental wines had a slight labrusca flavour with a moderately prominent muscat/flower/tree fruit and sub-tropical aroma. Wines were mostly of average quality, except during one season when harvested at 23.0°B with a titratable acidity of 11.2 g/ℓ and a pH of 2.88. This wine was of a much better quality and proved that Ventura has the potential to produce good quality wines. Although Ventura was bred for cool climates, it adapted well to the warmer climate of Stellenbosch. The high titratable acidity also makes this variety suitable for cultivation in warm areas. Vineland 65232 was bred by the Horticultural Research Institute Ontario, Vineland Station in Canada. It was developed from an interspecific cross between Joannes Seyve 23-416 and Chardonnay. It has good resistance to cold and is very productive. At Nietvoorbij in Stellenbosch it has been evaluated together with several other Vineland cultivars and proved to be the most suitable for winemaking. Very little information has been published about this cultivar. It buds and flowers about the same time as Chardonnay, Ventura and Vidal blanc. At Nietvoorbij Vineland 65232 ripened earlier than Chardonnay and Vidal blanc and at approximately the same time as Ventura. With the application of a standard spray programme, no diseases were recorded. Vineland 65232 yielded less than Chardonnay, 3.9 kg compared to 5.9 kg/vine (9.2 t/ha and 13.0 t/ha), respectively. 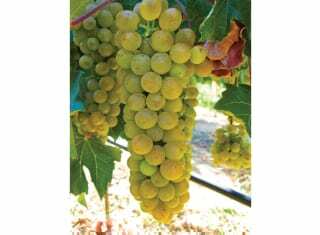 Vineland 65232 has smaller round berries with bunches a bit longer, but lighter than those of Chardonnay. The must acidity was similar to that of Chardonnay, with a lower pH and this also reflected in the wine. Vineland 65232 produced average quality wines with a moderately prominent subtropical/citrus/flowery aroma (quince, citrus, apricot and peach). The wines also tended to have more of a muscat flavour. 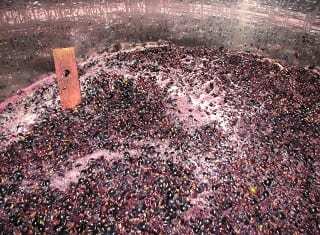 When the grapes were harvested at 24.1°B with an acidity of 7.1 g/ℓ and pH 3.02, the wine had more prominent muscat flavour and the quality was above average. Although this cultivar was developed for cooler climatic regions, it performed well under the warmer Stellenbosch climate and may make a contribution to the South African wine spectrum. 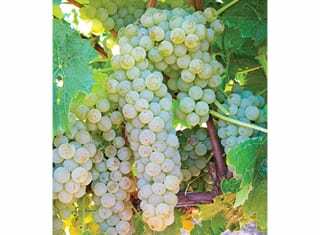 Vidal blanc is a French-American white interspecific cultivar, produced by crossing Ugni blanc (Trebbiano Toscana) with Rayon d’Or (Seibel 4986). Jean Louis Vidal of France developed this cultivar in the 1930s. His primary goal was to develop a cultivar for Cognac production in the Charente-Maritime region in western France. Vidal blanc is very cold hardy and has moderately high sugar levels in cold climates with moderately high acidity. It is cultivated extensively in the Canadian wine regions of Ontario, British Columbia and Nova Scotia and in Sweden, where it is used for making ice wine. It is also grown widely throughout the United States where it is used to produce both dry and sweet wines. The berries have a tough skin. Vidal blanc has moderate resistance to downy mildew, but is very susceptible to powdery mildew. 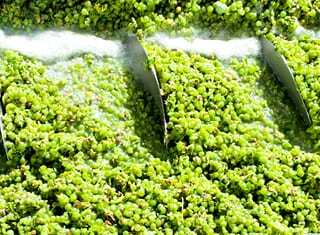 A standard disease spray programme was applied at Nietvoorbij, with the result that very little infection of downy and powdery mildew occurred. However, at an evaluation site near Wellington where the vines were not sprayed, the bunches were severely infected. Although international researchers reported that the cultivar is very prone to coulure, nearly no coulure occurred in the evaluation plot at Nietvoorbij. Vidal blanc was imported by ARC Infruitec-Nietvoorbij during 1999 and after release from quarantine, it was grafted onto Richter 99 and onto 140 Ruggeri. Budburst occurred early to middle September and bloom middle to end October. Ripening varied from middle February to beginning of March. 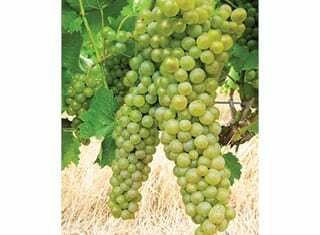 Vidal blanc is very fertile and produced an average yield of 10.6 kg/vine (22.3 t/ha). Bunches are large with an average berry size and a thick skin. Although Vidal blanc was developed for cool climate regions, it produced good quality grapes with good acidity in the warmer temperatures at Stellenbosch. The quality of experimental wines made at Nietvoorbij varied from average to above average. Vidal blanc does not have a very prominent aroma. Wines had tropical fruit/tree fruit/floral and vegetative aroma with a slight muscat flavour. This is similar to reports from abroad. 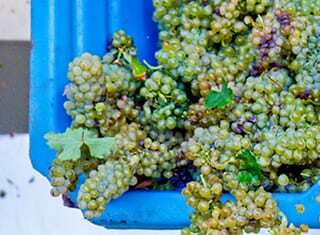 Vidal blanc has the potential to contribute to the approved cultivar spectrum for winemaking in South Africa. Although Ventura, Vidal blanc and Vineland 65232 were developed as cold hardy cultivars for cool climate regions, their good acidity proved that they have the ability to also produce good quality wines under warmer climate conditions, such as Stellenbosch. These cultivars may contribute to the existing South African white wine cultivation spectrum. Ventura and Vineland 65232 are not registered for cultivation in South Africa. Vidal blanc is registered and has already been established by some farmers in SA. – For more information, contact André Schmidt at schmidta@arc.agric.za.